Whether you're getting around by car or on foot, there's a lot to see and do near Croan Cottages. Just some of these activities and sites are listed below. When you arrive at your self catering cottage you will find a folder which provides much more detail on these and other sites and events taking place in the area. As well as the attractions listed below, we have prepared itineraries to help you plan days out while you are on Holiday at Croan Cottages. Details are provided in each of our self catering cottages and we have listed some of the suggestions on the Recommended Days Out page on our website. We have also listed some of the acitivities available in Kilkenny for those travelling with Children. Visit our Kids Activities page for more details. If it's activities your looking for, we have described some of the areas best Golf courses here and the best local spots to do a bit of fishing here. We would be happy to help our guests prepare their own detailed itineraries for day trips etc. We have prepared a list of festivals, and other events which are taking place close to Croan Cottages. You can see the list by clicking here. Be sure to revisit the Croan Cottages website to check out the other upcoming events in the area. Croan cottages have not one but 2 round towers nearby. These ancient monastic structures were built as a refuge during the troubled dark ages when Viking raids were common. Aghaviller church, is still used for occasional services and is open to be explored. Croan is visible across the fields from the top of the narrow stone steps. The Castle Morres vault lies in the adjacent church-yard and holds the remains of the Morres family, owners and residents of the adjoining Castlemorres from the 18th Century. 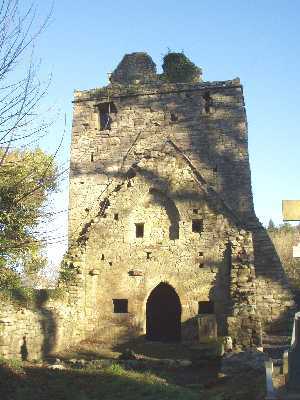 The second round tower is at the Kilree monastic site approximately 3 miles from Croan. 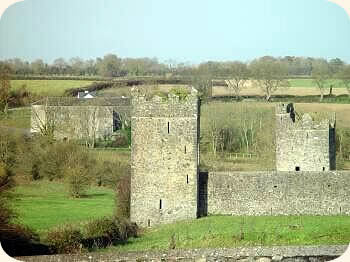 Adjacent to Croan Cottages is the wooded demesne of Castlemorres (sometimes called Castle Morres or Castlemorris). Formerly home to the Morres and De Montmorency families. The former's family vault can still be seen in the local church yard. Unfortuately much of the house is now demolished. The church yard also contains the remains of an ancient round tower. Built to protect the occupants and valuables of monastic settlements from Viking raids, these towers dot the Nore valley. 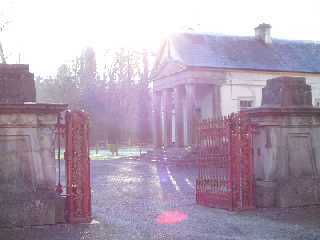 The grounds now merge with other Coillte woods totalling approximately 2000 acres. These woods offer excellent walks and are home to the Castle Morres Pheasant shoot. 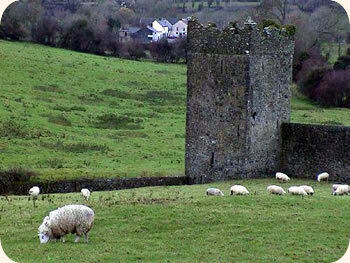 The abbey, which lies less than 4 miles from Croan Cottages, was built around 1160 by the King of Ossory, Donal MacGillapatrick, for the Benedictine monks. 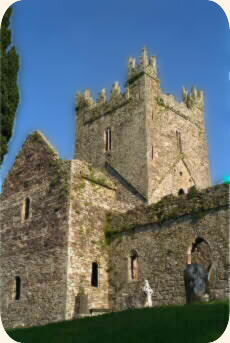 In 1180 it was taken over by Cistercian monks from Baltinglass Abbey. By 1228 the population of the abbey had reached 36 monks and 50 brothers. The monastery was self-contained, and included its own gardens, watermills, infirmary, cemetery, kitchens, granary, stables and other outbuildings. At the time of the dissolution of the monasteries in 1540 the abbey was granted on lease to James, the Earl of Ormond by the English crown. The lease included some 6,000 hectares of land belonging to the Abbey, watermills, cottages, weirs, fisheries and a castle. The nearby Kells Priory is one of the largest and most magnificent medieval monuments in Ireland. Situated on the bank of the King's River, it comprises a collection of medieval tower houses spaced at intervals along and within walls which enclose a site of some three acres. Croan Cottages are just minutes outside Kilkenny city, undoubtedly Ireland's loveliest inland city. 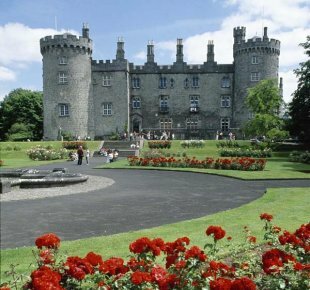 Kilkenny rose to prominence in the 13th century, when the Irish Parliament often met at the Castle. 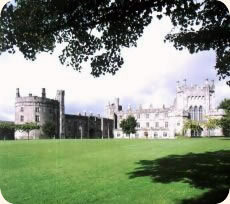 Built in the 1190s, Kilkenny Castle was occupied right up until 1935. The powerful Butler family lived in it from the late 14th century, but because of the exorbitant upkeep, their descendants eventually donated Kilkenny Castle to the nation in 1967. 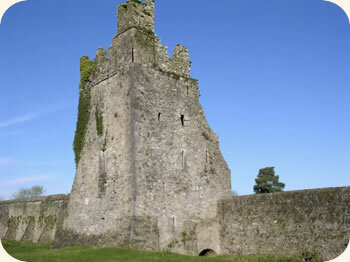 With its drum towers and solid walls, the castle retains its medieval form, but has undergone many alterations. The Victorian changes made in Gothic Revival style have had the most enduring impact, and are even more impressive since recent restoration work. Built between 1202 and 1285 this graceful cathedral has been preserved in its original style. 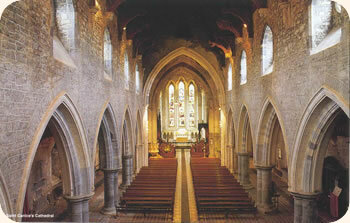 St. Canice's Cathedral is richly endowed with many stained glass windows. The choir stalls are decorated with fine continental carvings and the sanctuary floor is paved with coloured marble from the four provinces of Ireland. There is a large collection of ancient stone monuments with carvings going back to medieval times. Nicholas Walsh, pioneer translator of the Bible into Irish, is buried here. The ancient stone of enthronement for bishops, called Saint Kieran's chair, dates back to earliest Christian times. Beside the cathedral stands a round tower. This was used as a watchtower and refuge in pre-Norman times. While it lacks its original conical stone cap it still provides visitors with the best view of Kilkenny City.